If you’re searching for a fun filled, enriching place for your dog to spend their days while you are out of the house at work- we are here to save the day! 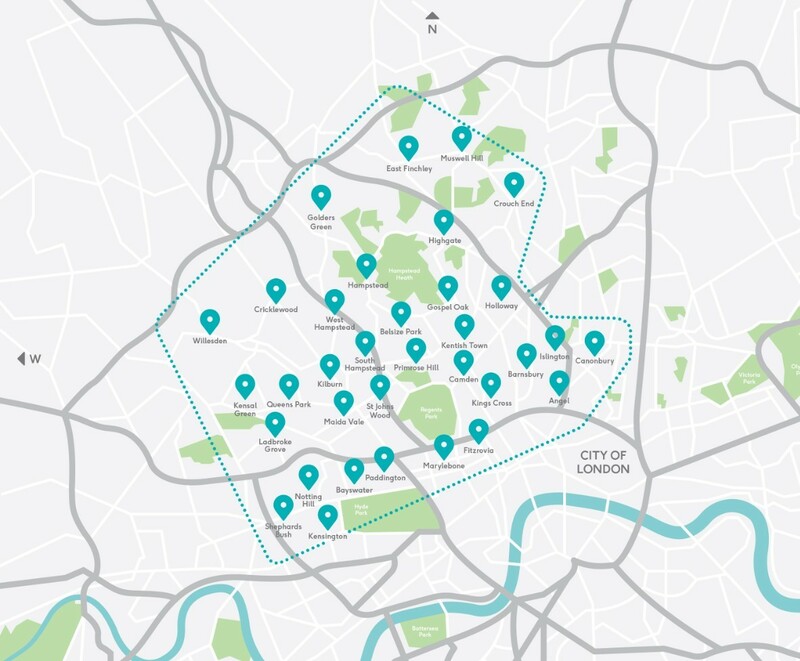 We cover South Hampstead and Swiss Cottage for our puppy and doggy daycare services, providing door to door transport between home and our sprawling and secure countryside retreat on the edge of the city! Buddies is designed to be a dog’s idea of heaven! We spend our days running in the meadows, splashing in the pools, playing in the tunnels, tyres, sandpits or on the trampoline, scrambling up the giant fallen tree trunks, leaping on the straw bales or just napping in the shade or the cozy heated shelters! At the end of it all, we drop home our tired and happy pups so they are ready to greet you with a wag of their tail when you get home. Our team at Buddies work really hard to give puppies the best start in life. We have a dedicated supervisor to watch over them and monitor their progress as they play in a fun and sociable setting, purpose built to be stimulating and enriching for them. We have puppy suitable playground equipment, a wide range of toys, mini splash pools, tree trunks and shady rest zones. Split between indoor and outdoor areas- with pups always able to choose where they want to be, we are confident there is no better place for them to begin their exciting lives.